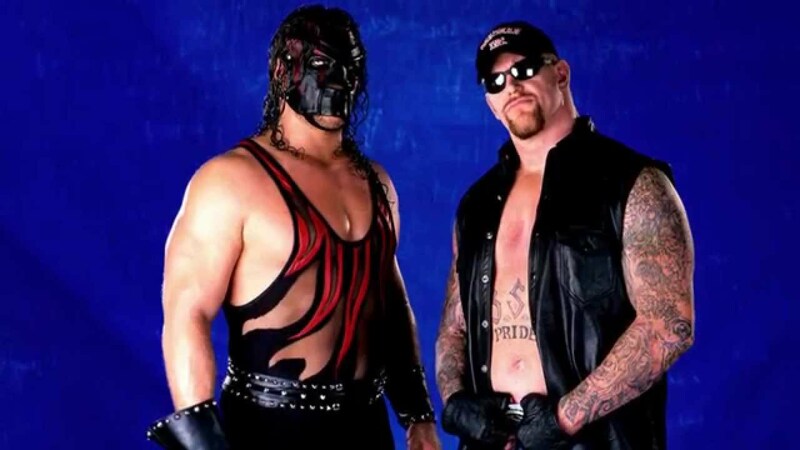 Although they weren’t consistently featured in matches as a unit (Cagematch.net has a record of 21 in total), there’s no denying the impact these two enigmatic stars had on the Attitude Era. 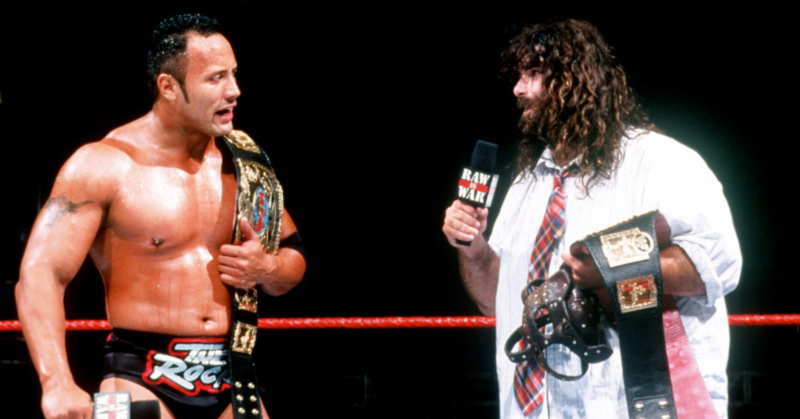 The Rock (future WWE Hall of Famer, gigantic acting star) and Mick Foley (current WWE Hall of Famer, best-selling author) were a perfect match for each other. They were a bit of an odd-couple, but were equally entertaining in their own unique ways. 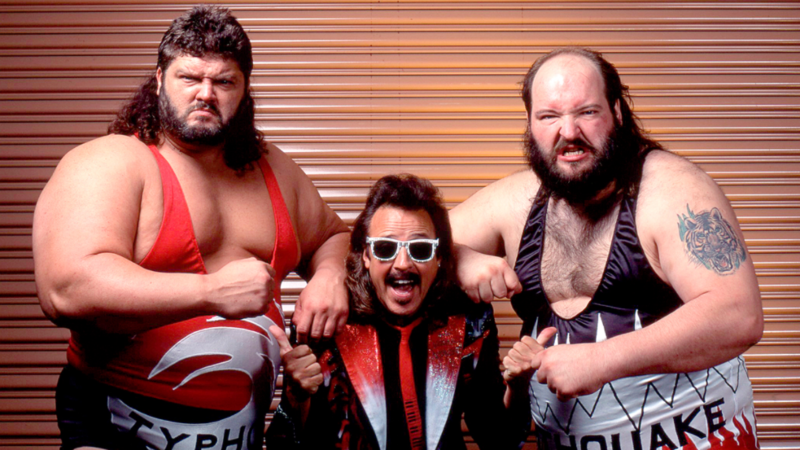 Bonus points are awarded here for having one of the coolest tag teams in the business. 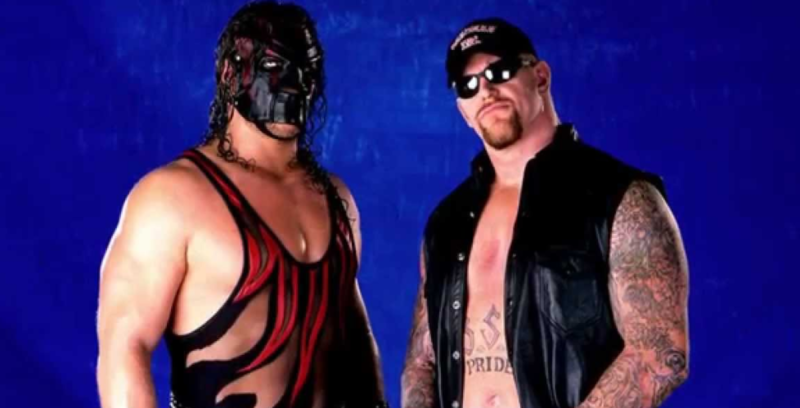 Kane was introduced as Undertaker’s “brother” — debuting at In Your House in 1997. The appearance spawned a historically great rivalry between the two competitors. Over the years, the not-really-brothers have battled it out against each other — though there have been times when the two have formed a daunting tag team. The athletic giants had the ability to face teams like Edge & Christian one week, and then Viscera and The Big Show the next. That sort of versatility made them special. The quaintly named “Natural Disasters” were made up of Earthquake and Typhoon. 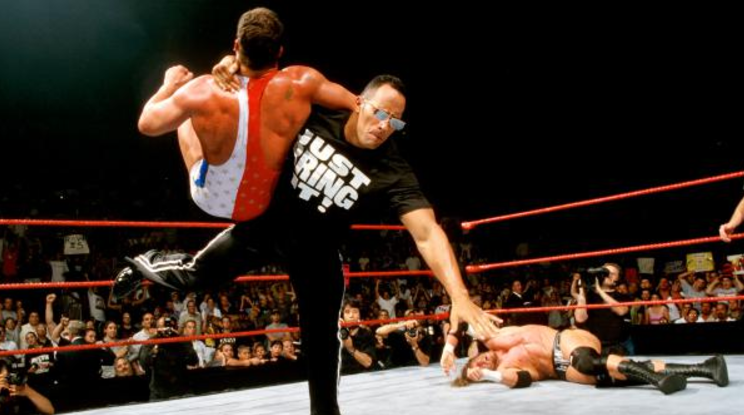 Uninspiring nicknames aside, these beasts were quite impressive in the ring. Their sheer size made them believable monsters, as the duo utilized basic splashes and sentons as their main offensive weapons. 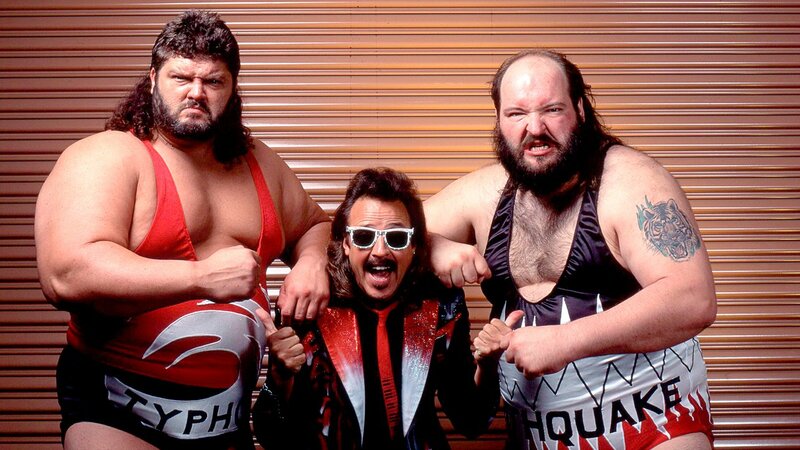 The Natural Disasters had classic feuds with some of the best tag teams during the early 90’s, including spats with the Legion of Doom and Money Inc. 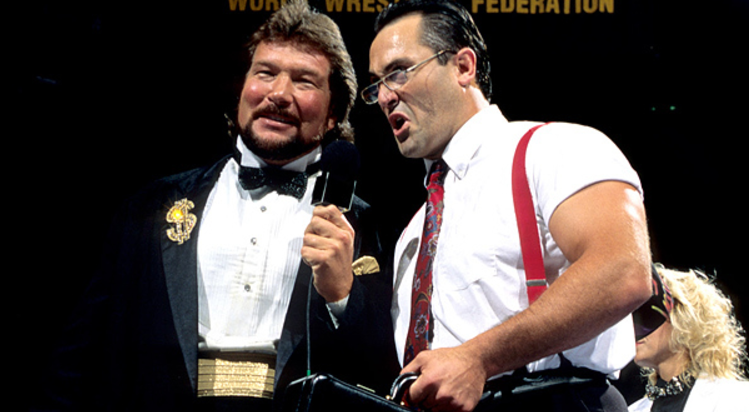 The heel tag team Money Inc. is the perfect example of two fantastic gimmicks coming together to make something even better. “The Million Dollar Man” Ted DiBiase loved flaunting his money around, regularly paying audience members in attendance to do ridiculous acts such as kissing his shoe. 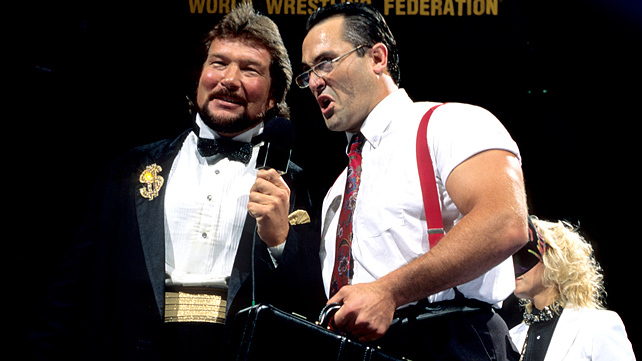 Irwin R. Shyster was an IRS tax collector that harassed opponents and fans alike for failing to pay their taxes. The money-centric personas worked perfectly, and their individual skills were still able to shine.